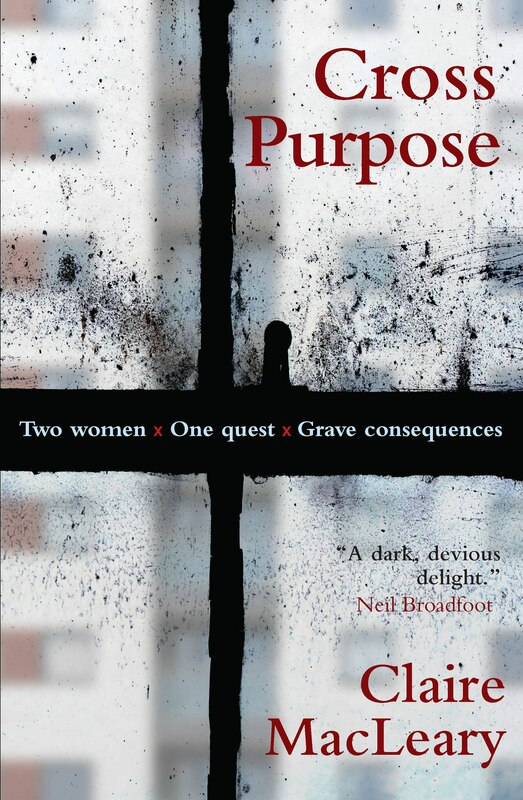 Claire MacLeary’s debut thriller Cross Purpose has been longlisted for this year’s prestigious McIlvanney Prize for the Scottish Crime Book of the Year. The novel, which features an unlikely crime-fighting partnership between two middle-aged women – and has been heralded as Scotland’s answer to Happy Valley – joins books on the longlist by authors such as Ian Rankin, Val McDermid, Chris Brookmyre and Denise Mina. Publisher Sara Hunt said: “This is a fantastic achievement for Claire – to be fighting it out with the big guns of Scottish crime fiction with her debut novel! The winner of the McIlvanney Prize will be announced at the opening reception of this year’s Bloody Scotland International Crime Writing Festival, which takes place in Stirling in September. The award recognises excellence in Scottish crime writing and includes a prize of £1,000 and nationwide promotion in Waterstones. Two Contraband books have been longlisted for the prize (previously known as The Scottish Crime Book of the Year Award) in previous years: Falling Fast by Neil Broadfoot, in 2014; and DM for Murder by Matt Bendoris in 2015.